Working out these questions on those three levels creates a matrix that covers 12 important areas in the organizational progression. We call this "the 12 box matrix". Using the Compass and 12 Box Matrix across the N.E.W.S.™Navigation and Leadership Development solutions ensures seamless progress from one solution to other, using the same logic and language. ​The Compass allows our trainers, coaches and facilitators anywhere in the world to deliver similar content with similar results. 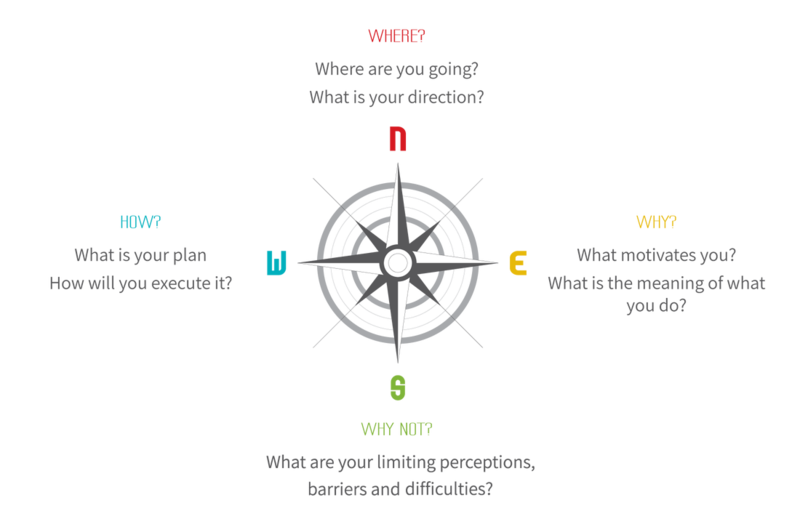 Deep and simple, structured, practical and results oriented, the compass is designed to address the navigational needs of individuals, teams and organizations. It provides a clear and structured roadmap of the process and delivers clear outstanding results. Read about The N.E.W.S. Story if you would like to know more about how Aviad Goz created the N.E.W.S. Compass.